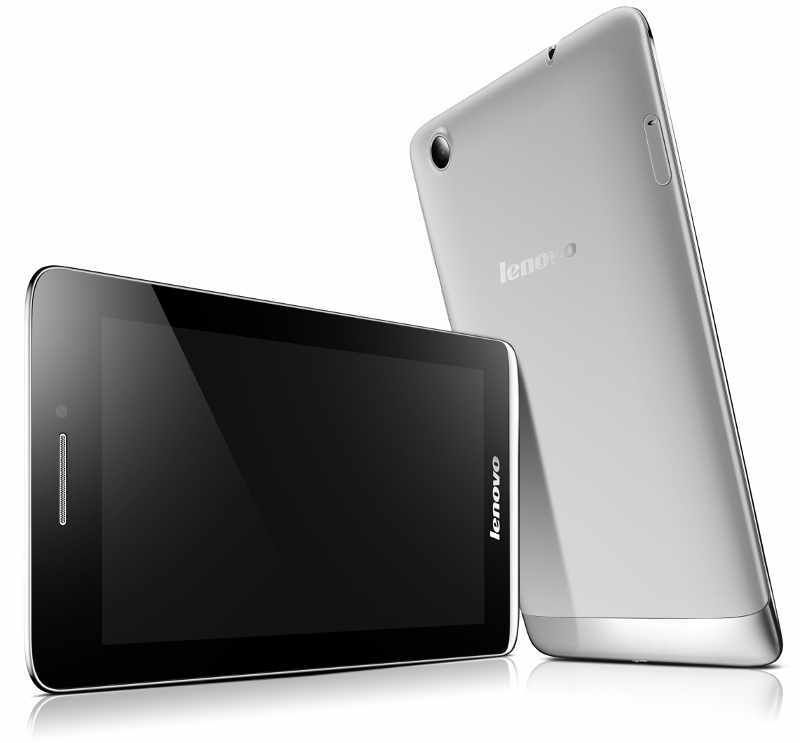 Lenovo has launched there latest Android powered tablet in India, the Lenovo S5000 7. The new S-5000 features a 7 inch 1280 x 800 pixels display. Considering the price the tablet has some nice specifications. The S5000 draws the strength from 1.2GHz quad core processor integrated with 1GB of RAM. It runs on Android 4.2 Jellybean operating system – competition comes with Android 4.4 Kitkat out of the box . Although it can be upgradeable to Android 4.4 Kit-Kat as claimed by the company. It packs with 5MP main shooter and 1.6MP front camera. It also allows you to insert SIM card, additionally you can make voice and video calls. It measures about 7.9mm thick and weighs 246 grams. To make the Lenovo S5000-f tablet alive there is 3450mAh battery. It offers 3G HSPA+ connectivity options, WiFi, Bluetooth, GPS and micro USB with OTG ( USB ON THE GO ) support. It would compete with Micromax Canvas TAB P650, Micromax Funbook Mini P410, Lava IvoryS , iBall Slide 3G 7271 HD70 and MTV SWIPE SLASH 4X. The Lenovo S5000 is available from Amazon in Silver grey colors. You can also buy Stylus , Protective smart case and OTG cable for extra RS 849.